Social Media to create Buzz? When I get contacted by a prospect I often hear ‘Sarah, I want you to create buzz for my business on Social Media’. ‘Ok, let’s have a chat’ I say. In this chat, which usually evolves into a 30 minute conversation, I try to explain that in order to create buzz on Social Media, they need to provide some kind of content. Usually the content comes in form of blog posts, but it can also be white papers, research data, audio recordings, video etc. In order to create buzz, you need to create your own content by blogging regularly. Don’t listen to them! Yes, Social Media is part of the equation, but it’s only a tool to an end, a great way to spread your message and increase brand recognition. But it’s very rare that an actual sales transaction happens directly via Facebook, Pinterest or any other social platform. Sales happen after people have developed trust in your business, by reading your regular blog posts! What if Facebook starts to charge for pages? It’s not impossible, don’t you think? Already they make us pay to ‘promote’ our posts, in other words get them seen by our own fans. The truth is that you don’t own your Facebook fans, Twitter followers or Pinners. But you DO own your blog. The domain is yours, the look & feel is yours, the content is yours and you can do whatever you want with it. No restrictions. Do you know what else you own when you blog regularly? Your e-mail subscriber list. Besides providing content to share on Social Media, a blog is probably THE best way to grow your e-mail subscriber list. If people like your content, they will subscribe to your list. And the good news is: you own that list! In fact, it’s one of the most important assets of your company. Over time your list will grow, and so will the value of your company. Don’t get me wrong, I’m all for Social Media. It’s one of the best inventions ever for small business owners. Whether it is Facebook, LinkedIn, Twitter or Google+, all of these channels are a great way to socialize & converse with your target audience. But if you’re not blogging you really are wasting your time, because you don’t achieve the most important goal of social media: driving traffic to your own site. Let me know what you think: do you agree or disagree? 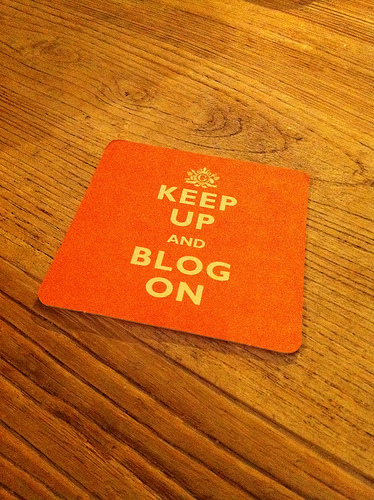 Do you blog and have already seen the positive impact on your small business? Please share with us in the comments below. 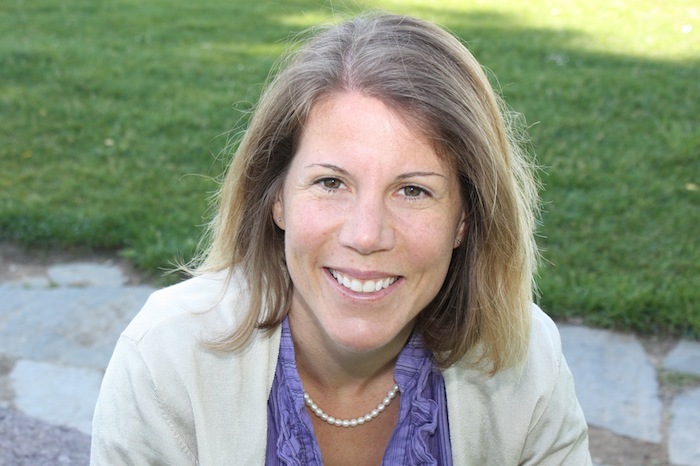 Sarah Santacroce is a certified Social Media, Internet Marketing & Virtual Event specialist. She helps small business owners and individual entrepreneurs to find their place in today’s online world. Sarah is a Swiss national, but thinks with a global mind. Read Sarah’s latest blog posts. Such an honor to be featured on your blog, thanks Martina ! This is what I am hearing from many sources: it’s all about the blog because that’s where your content is, and your website belongs to you, regardless of what FB, LI, etc. decide to do. Thank you for sharing this information. I am a Tarot Professional, Life Coach and Consultant, and I am currently re-tuning my content to reflect these changes. I am rewriting the content on the Home and About pages, and haven’t started blogging again, although my web designer tells me to start blogging. Do I blog and re-write, or does one come first? I want people to see consistency across my web-site, and not be confused. You’re definitely doing the right thing. Keep up the good work ! Previous post: What is your “About” page really about?